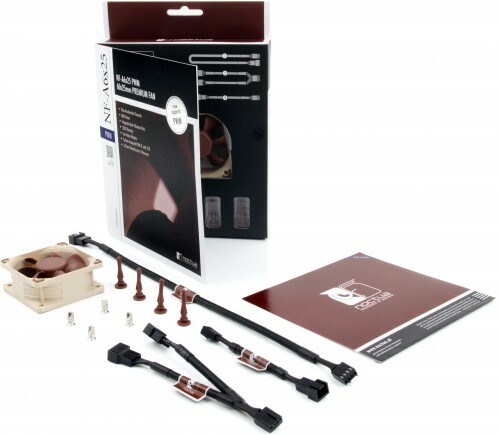 Noctua's latest 60mm fan is a dedicated 5V PWM fan that features OmniJoin Adaptor Set, Smooth Commutation Drive technology, modular cabling and a massive six years manufacturer's warranty. 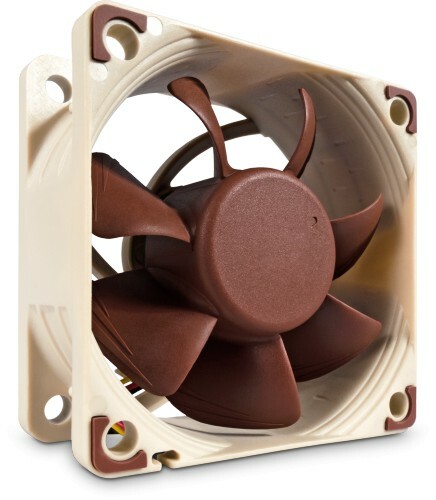 Featuring advanced aerodynamic design measures such as Flow Acceleration Channels and Noctua's AAO frame, NF-A6x25 5V PWM is a PWM-enabled 5V variant of Noctua's highly optimised, premium-quality quiet 60x25mm fan. Smooth Commutation Drive technology and Noctua's reference-class SSO2 bearings guarantee superb running smoothness and excellent long-term stability. Topped off with modular cabling, the OmniJoin Adaptor Set and a 6-year manufacturer's warranty, the NF-A6x25 5V PWM is a premium choice for demanding 5V applications that require PWM control. Many devices, such as network or storage solutions, use 5 volt 60mm fans with PWM speed control. With the same operating voltage, PWM support and the included OmniJoin adaptor set that makes it compatible with proprietary fan headers, the NF-A6x25 5V PWM is ideal for replacing noisy or broken 5V 60mm fans with PWM.